Brinner : We need to talk about books! I read. All. The. Time. I keep a list of books I want to read. That list is a notebook*. Then something happened. The list is running out. How can I keep up my grammar if I don't read? Help! sentences... are... making... less... sen pANCAKES! GOOD READS! You should join! I want to see your lists and recommendations and feelings about books! Sorry for all the exclamation points. I'm trying to demonstrate the seriousness of the situation. Also, I'll happily take any recommendations you have as a comment. (or e-mail. or pigeon post. 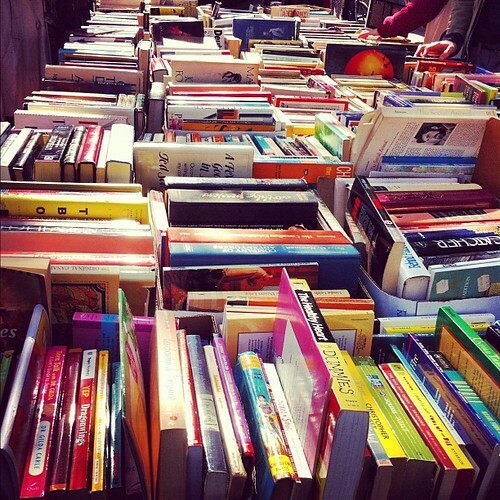 Your choice) Tell me what you think I should read! Good reads is a website where you can track books you've read, list books you want to read and find new ones based on your previous likes and dislikes. You create an account and pick genres you're interested in. This doesn't really limit you in any way, but will start building recommendations for you in those categories. Then you start rating books you've read and based on those you'll slowly start getting more recommendations. Also, I might actually need to search some IRL buddies. I can think of a few who are there for sure. And if they aren't I will use some sort of bribery/extortion/blackmail to get them there. Or say please. *was a notebook. I lost it. Kinda bums me out. I doubt I would be in this conundrum** if I knew where it was. Actually, I have a pretty good idea where it was last and I'm not getting it back. Casualties of the everyday life. *** I should learn when to stop, don't you think? I have Goodreads account! And I don't have friends either, so we could be freinds there. In a weird bit of happenstance, I JUST finished reading Wild Swans a few weeks back too. Weeiiiirdd. I'm currently reading something about a 100 year old man who climbed out a window. No, really! That's both the title and the synopsis! Pancakes, they are a way of the future. I thought Wild Swans was very interesting--a tragic time in chinese history that is largely unknown or misunderstood--but I didn't care for the way it was executed. I really enjoyed the parts about her grandmother and her mother, but I thought the author's story was largely a number of personal ancedotes that weren't half as interesting as she thought they were. I thought the book should have been better edited, it could have easily lost 100 or more pages and been more concise. And... when did this comment become a book report? Can I get an A+?!! It IS a Swedish book! I should give you the A+!! A+ indeed! I absolutely agree with you analysis, I felt the first half of the book with the grandmother and mother was amazing and I felt the book changed when she wrote about herself. I still immensely enjoyed it though. I also agree that it could've lost some pages and the story wouldn't have suffered. I think you should add me over at good reads. I promise not to judge. And besides, there's nothing wrong with comics, Archie or otherwise! Hei aika hyvä juttu! Pitää hankkii! Kiitos vinkistä! Score! Meinasin just kommentoida, etta lisaa mut sitten kun saat kirjauduttua, mutta sitten katoin sahkopostissa etta olit nopeempi! Ma toivon, etta taa ratkasee mun pimean kauden lukuongelmat!